One area of the powersports industry that has seen a lot of change lately is batteries. Battery technology was developed in the mid-1800s and remained relatively unchanged until the mid-1990s when university researchers developed lithium batteries. Lithium ferrous phosphate (LiFePO4) batteries are a perfect fit to the rugged uses found in the powersports industry. Several companies have been producing LiFePO4 batteries over the last few years including LFX Batteries by Shorai. Like other LiFePO4 technology batteries, Shorai LFX Batteries hold many advantages over lead-acid units. First off, they are about 80% lighter on average helping to easily remove weight from your ride. There are also no harmful chemicals in a LiFePO4 battery making them safer and allowing them to be mounted in any position, including upside-down. Another great benefit is that they have a longer maintenence-free lifespan. A lead-acid battery constantly degrades while sitting idle. LiFePO4 batteries lose only a small percentage over an entire year. Good luck finding a lead-acid battery that will crank after sitting for a year. We decided to try out Shorai LFX Batteries ourselves by upgrading our Polaris Hawkeye 300. The old lead-acid battery had just recently failed us and it was a great chance to upgrade during our spring maintenance. Shorai produces some 20 different battery models in their LFX line. Shorai’s website has a battery finder that allows you to select your powersports vehicle and see the appropriate battery selection. Our application called for the LFX14A5-BS12. With an MSRP of $159.95 it’s on par with most other similar LiFePO4 offerings. Our battery arrived by mail packed in its retail box, tucked in by foam shims. It also contained a manual, two sets or terminal screws and a collection of Shorai stickers. The physical dimensions of the battery were very similar to the OEM lead-acid battery we removed. Our OEM battery was 6.5″H x 5.25″L x 3.5W while our Shorai measures are 6.3″H x 5.28″L x 3.15″W. This actually makes Shorai LFX Batteries larger than most other LiFePO4 batteries we have seen though they are still perfect for your OEM swap. If there is any spare room in your battery compartment, the included foam shims can be cut and placed inside the compartment for a solid fit. 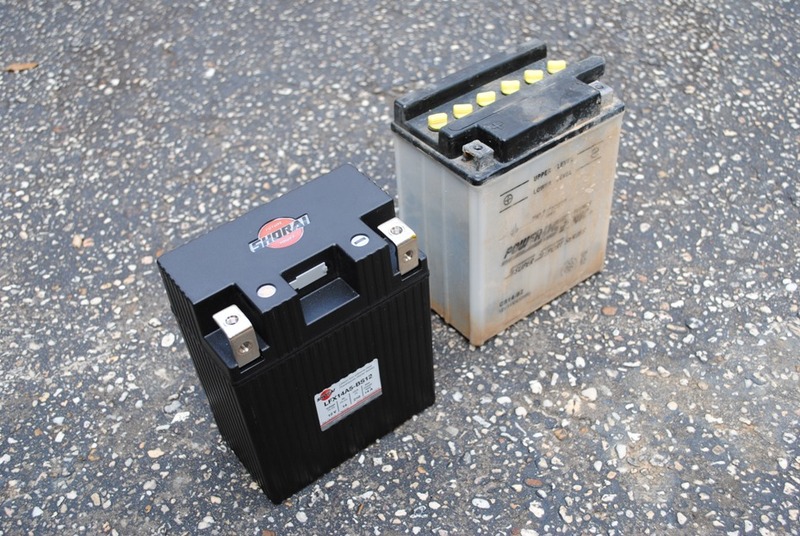 As far as weight is concerned, there is a big difference between lead-acid and LiFePO4 batteries. Our LFX battery weighs in at only 2.31 pounds compared to our 10.4 pound lead-acid rock. Racers looking to gain a little speed will have a hard time finding an easier or cheaper way to lose 8 pounds. But don’t let the lightweight fool you. This battery still produces 210 cold cranking amps (CCA). Perhaps one of our favorite things about the Shorai LFX Batteries is the terminal posts. The posts are designed in an “L” shape and have locations to simultaneously use 2 sets of terminal screws. This makes it easy to add accessories without stacking. We placed our winch leads on one set of terminal screws and the Polaris’s electronics on the other. Shorai LFX Batteries ship charged and ready for your ride. While they generally don’t need to be maintained you can use traditional battery chargers as long as they do not use automatic desulfation mode. 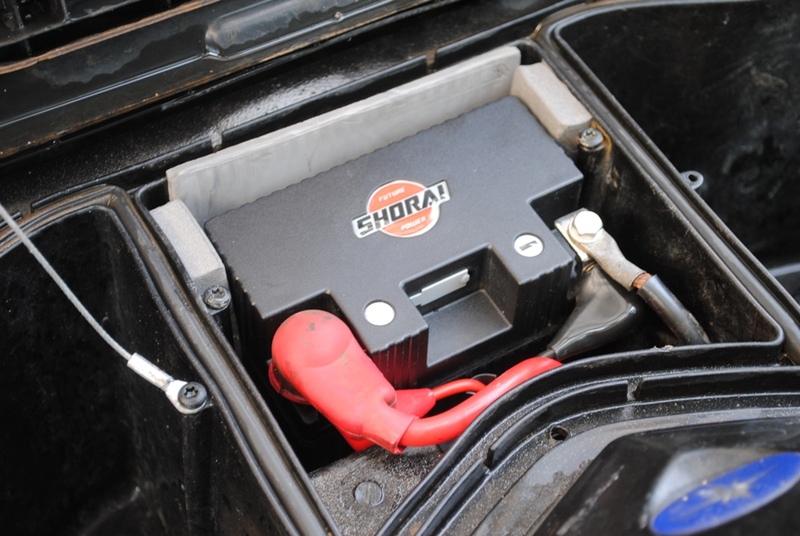 Shorai does produce its own charger that is designed to balance each individual cell and can increase the life of the LFX battery. Shorai LFX Batteries have a 3 year warranty. That’s longer than the entire life span of a lead-acid battery and much more than the warranty period. Ours has performed great so far. We will provide updates here if we see any performance changes and also to let you know exactly how long our Shorai LFX Battery lasts. 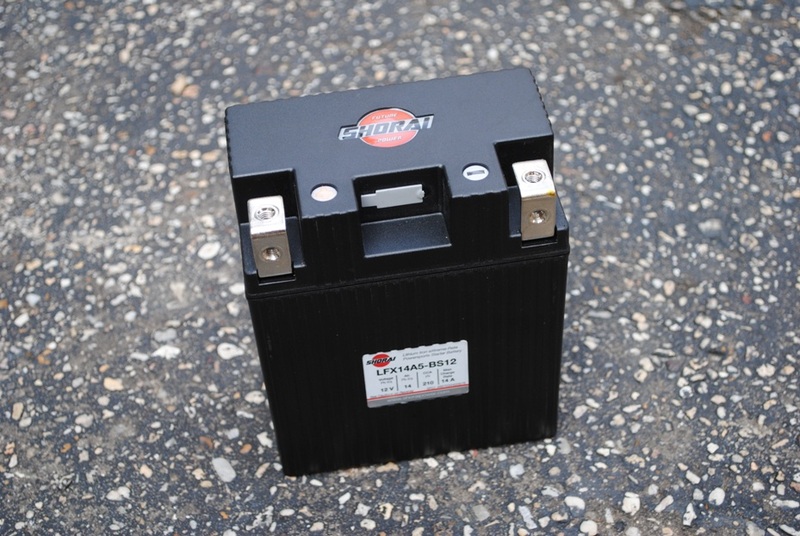 To locate your own Shorai LFX Battery check out their website at http://www.shoraipower.com/. This entry was posted in Accessory Review and tagged battery, LiFePO4, Shorai by charlie. Bookmark the permalink.